The first instances of military aviation applications included lighter-than-air balloons. In 1903, the Wright Brothers flew the first heavier-than-air glider 120 feet across the dunes in North Carolina. 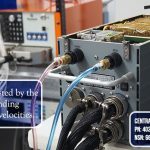 The next few years of experimentation found the airframe strengthened, along with applying larger engines to allow the plane to fly longer and faster. By 1908, Orville and Wilbur continued to push the limits of the airframe and set plans in motion to introduce the plane to the United States military. Flight trials would be held at Fort Myer, Virginia in the summer of 1908. The Army purchased the aircraft in the Summer of 1909 and immediately began training pilots in the Fall. This purchase became the first military aircraft in history. The Navy followed in 1911 by purchasing a Wright aircraft and modifying it for water takeoff. The first military uses of flying machines were for reconnaissance. On October 23, 1911, during the Italo-Turkish War, an Italian pilot, Captain Piazza, flew the first aircraft reconnaissance mission over Turkish front lines. A month later, Italy conducted the first aerial bombing of Turkish troops. By the end of the 1st World War in 1918, the airplane had progressed quickly from simply a reconnaissance platform to many more roles like air superiority, ground attack, and anti-submarine patrols. The aircraft carrier was even used for the first time during WW1. In those early years, the Army, Navy, and Marine Corps would find a purpose for these weapons of war. As wars began, the number of aviation squadrons would increase and units would be activated. When the conflicts ended, some of the units would be deactivated. When necessary for military purposes, when another war would begin, those units may be reactivated. Then, there are those units who have nearly a century or more years of active service. Those units are what we explore today. 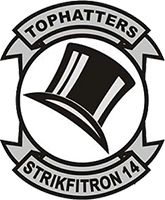 VFA-14 Tophatters – Activated in 1919, the Tophatters are the oldest active fighter attack squadron of the United States Navy. Their motto is “The Oldest and Boldest” and their call sign is “Camelot”. 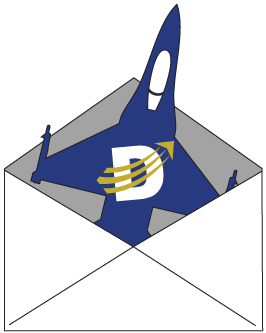 Over their 99 year history, they have operated 23 different type of aircraft, beginning with the P-12 pursuit aircraft and currently flying the F/A-18E Super Hornet. In their early years, the Tophatters’ mission in the P-12 was patrol and observation. Today, they are a fighter attack squadron, providing the fleet with close air support, air interdiction, and reconnaissance. VFA-14 has served as air support for the Allied invasion of North Africa in World War II and conducted airstrikes into Vietnam from the South China Sea flying the F-4B Phantom II. 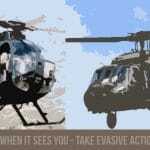 They provided air support during operations in Grenada, Beirut, Desert Storm, Yugoslavia, and the Middle East. Their first carrier assignment was aboard America’s first, the USS Langley in 1926. Since then they have operated from 20 different aircraft carriers. The home base is at Naval Air Station Lemoore in California. 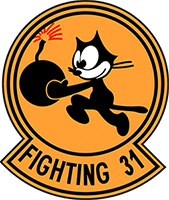 VFA-31 Tomcatters – The Tomcatters were activated in 1935, and with 82 years of service, make them the second oldest active squadron for the U.S. Navy. Their call sign is “Felix” and their motto is “We Get Ours at Night.” Their home base is NAS Oceana in Virginia. “Butch” O’Hare, WWII naval pilot who received the Medal of Honor, Navy Cross, and two Distinguished Flying Crosses, called MFA-31 his home squadron. Like VFA-14, the Tomcatters also flew the P-12 and F-4B in their early years, and presently operate the F/A-18E Super Hornet. VFA-31 was also assigned to America’s first aircraft carrier, the USS Langley. During the attack on Pearl Harbor, VFA-31 was aboard the USS Enterprise and participated in the battles of Wake Island, Midway, and Guadalcanal, along with many other battles of the Pacific during WWII. VFA-31 has seen combat in World War II, the Korean War, and the Vietnam War. They were assigned to enforce the no-flying zone in Iraq during Operation Southern Watch following Desert Storm. Aircraft from the Tomcatters have seen action in both the Iraq War and in Afghanistan during Operation Enduring Freedom. 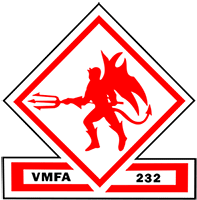 VMFA-232 Red Devils – In 1925, VMFA-232 was activated and held a mission of supporting the Marine expeditionary role. Flying Vought VE-7 fighters and FB-1, VMFA-232 supported the Marine Corps’ 3rd Brigade with photography, mapping, and reconnaissance missions during China’s civil war in 1927. The Red Devils fought during the Japanese attack on Pearl Harbor. 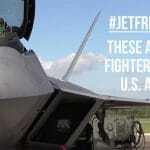 Based on Wake Island, VMFA-232 lost nine aircraft while ten more needed major overhaul. During WWII, they flew the SBD Dauntless, a naval scout and dive bomber aircraft. On Guadalcanal, they were part of the Cactus Air Force at Henderson Field. They also flew close-air-support missions during the Battle of Okinawa and across the mainland of Japan. During the Vietnam War, 232 flew the F-8 Crusader and F-4 Phantoms in 1968, 1969, and again in 1972. In 1988, they completed the transition to the F/A-18 Hornet and were among the first to cross the border in Operation Desert Storm. The squadron took part in the 2003 invasion of Iraq and has deployed to Afghanistan as part of Operation Enduring Freedom. NASA Astronaut Randolph Bresnik, STS-129 on the Space Shuttle Atlantis and member of Soyuz MS-05, both International Space Station missions, was a prior member of the Red Devils. 1st Reconnaissance Squadron – The Air Force’s Oldest Squadron is also the United States military’s oldest flying unit, was established in March of 1913 to support American military action on the border of the United States and Mexico. The 1st Reconnaissance Squadron, also known as 1 RS, is based at Beale Air Force Base in California. During its 105 year history, 1 RS has 47 different aircraft, beginning with the Curtiss JN-3 airplanes, transitioning to the SR-71 Blackbird and then today the U-2 Dragon Lady. Originally named the 1st Aero Squadron, this storied unit flew in WWI under the direction of the French. As early as mid-1917 their aircraft would provide reconnaissance for French troops prior to the United States officially entering the war. During many offensive operations by the United States during WWI, 1st Aero would provide intelligence gathering for ground commanders. 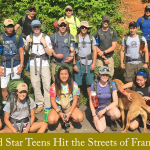 They have participated in engagements during WWI, WWII, Vietnam and the Global War on Terrorism. 1 RS also flies the RQ-4 Global Hawk unmanned surveillance aircraft. It’s more difficult to identify the aviation battalion that is recognized as the U.S. Army’s oldest active air squadron. Prior to the Air Force becoming its own military branch in 1947, there was the Army Air Corps. Once the Air Force was established, Army aviation would involve mostly helicopters. Technically with the original Army Air Corps coming under the command of the U.S. Army, the 1st Reconnaissance Squadron could also be claimed by the U.S. Army. Here we are identifying the oldest active U.S. Army aviation unit. 101st Aviation Regiment – The 101st Aviation Regiment was established in December 1950 in Korea during the Korean War. Army aviation during the Korean War operated the Bell H-13 Sioux and Hiller H-19 Chickasaw helicopters. The 101st currently fly the AH-64 Apache Longbow attack helicopter. Battalions of the 101st have participated in the Korean War, Vietnam War, Operation Desert Storm, and the War on Terrorism in Iraq and Afghanistan. Since the Wright Brothers proved that the aircraft could fly and eventually propel itself with an engine to carry men and supplies over longer and longer distances, the use of aircraft for military purposes was inevitable. The Wright 1908 Military Flyer that carried one or two people has today evolved into stealth aircraft that carry weapons and personnel non-stop around the world. Over time, an aviation unit may change the type of aircraft it flies, or be assigned a newer version, requiring a new mission role. Often times, these role changes result in a unit’s name be adjusted slightly to reflect the change. For instance, VFA-14 was in 1920 listed as VT-5 and were a torpedo and bombing squadron. During WWII, they were VS-41 and VB-41 as scouting and bombing squadron. In 1949, as a fighter squadron, they were VF-14. On December 1 in 2001, they became VFA-14 as a strike-fighter squadron. Even though aviation roles and names will change, you can be assured that United States aviation units will be on the cutting edge and set the bar on the battlefield both in the air and on the ground. In the video below you will see footage from the wreckage of the aircraft carrier, the USS Lexington. The Lady Lex was sunk during the Battle of the Coral Sea in World War II. 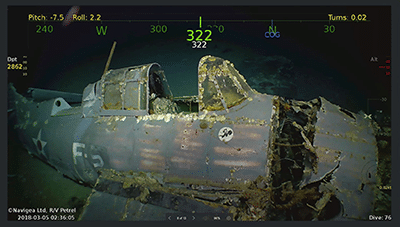 At 38 second mark, you will see one of the two Grumman F4F-3 belonging to VFA-31 that were found with this wreckage 2 miles below the surface. During the battle, VFA-31 was attached to the USS Lexington.